one double and one twin, both sharing a private bathroom. Each bedroom comes with bedside units, built-in wardrobes, french doors & TV with DVD player. 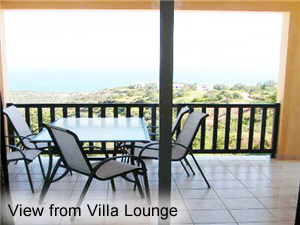 All bedrooms share a large lounge / dining room which opens out onto a terrace with spectacular views over Chrysocous bay. 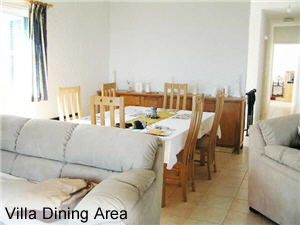 A fully equipped kitchen is also available on a shared basis. 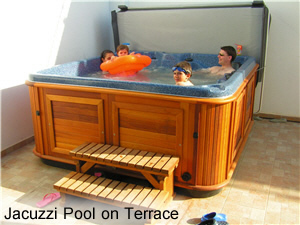 We have just added a jacuzzi spa on one of the terraces. © 2007 ZebZoo. All rights reserved. Picture Window theme. Theme images by konradlew. Powered by Blogger.